If less is more, and if you’re a minimalist while traveling, there’s no need to look at large, luxury fifth wheel RVs in order to hit the road. Our Travel Lite Express travel trailer review will have you convinced that everything you need in a compact, lightweight, easy to haul travel trailer is right here. Any 6 cylinder vehicle can pull this small trailer that packs a big punch! 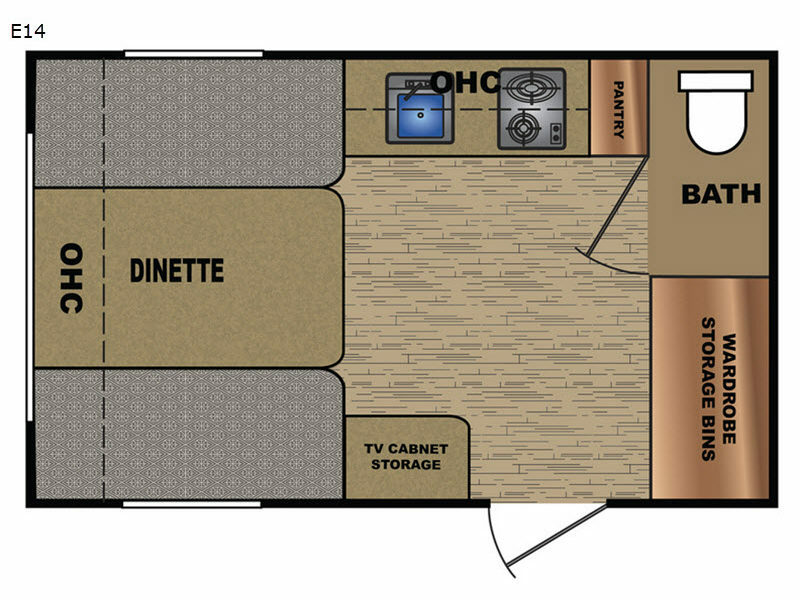 The compact interior of our Travel Lite Express travel trailer for sale is perfectly designed to be space efficient while meeting all of your needs. You’ll find a 2 cu. 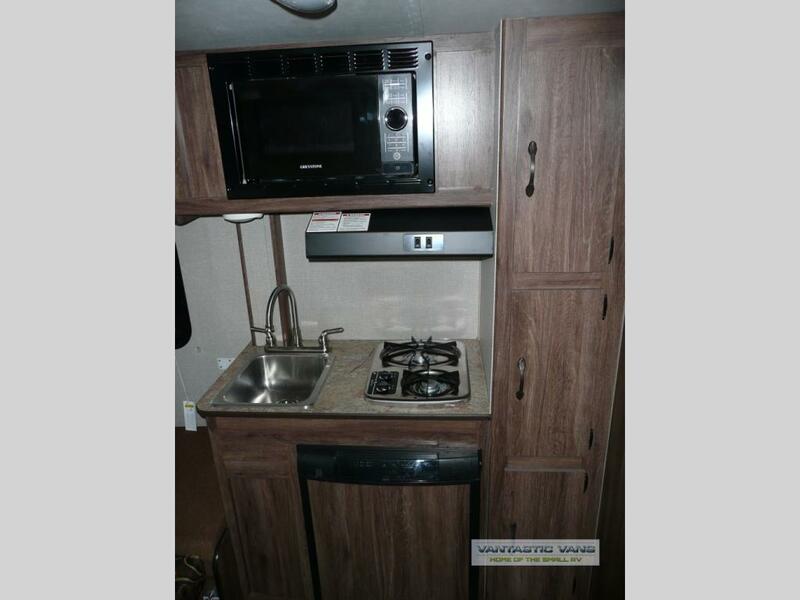 ft. refrigerator, electric plate, sink, and faucet, and a perfect amount of countertop and table space to make meal prep a breeze. 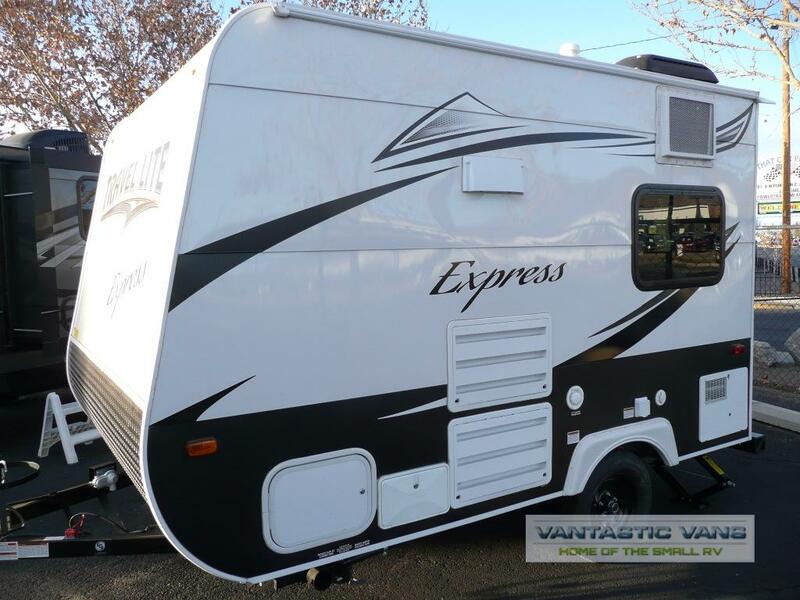 Contact us today if the Travel Lite Express travel trailer has your name written all over it. It’s perfect for a quick escape and light weight adventures, and we would love to help you get on the road!